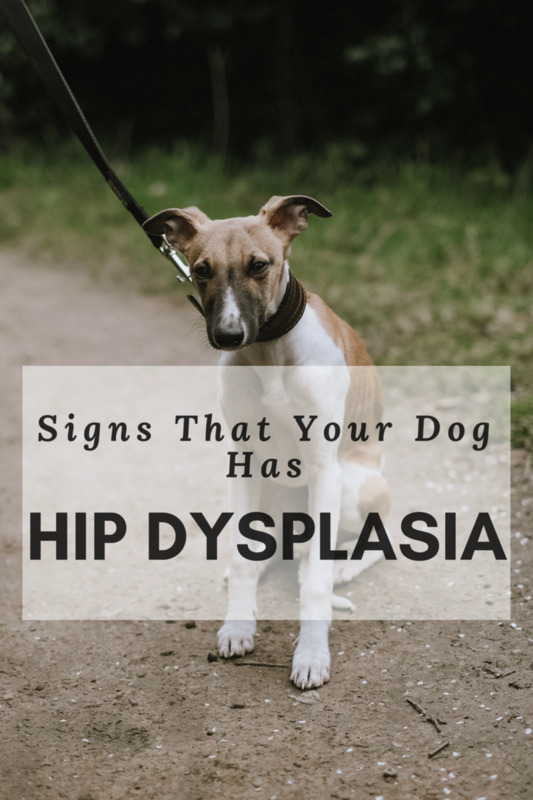 Hip dysplasia is a disease where the hip joint is abnormal (the head of the femur does not fit down into the socket of the hip) and the dog develops lameness and arthritis. 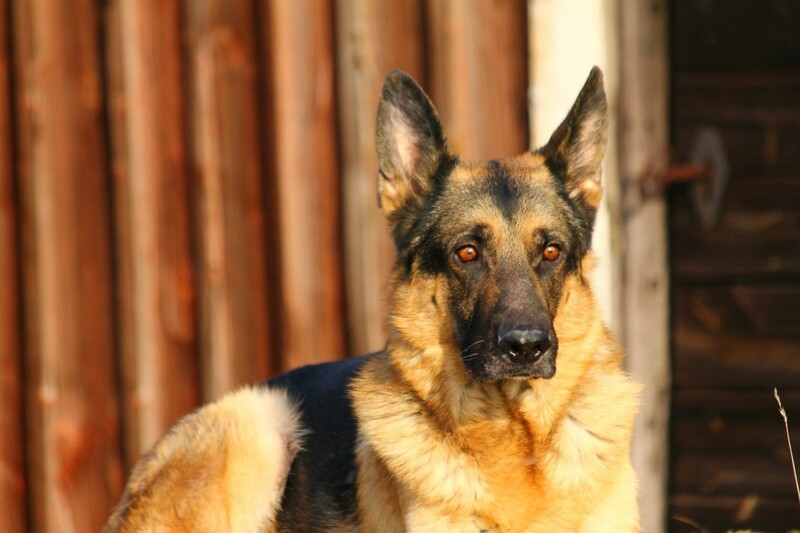 It is inherited and seen mostly in large and giant dog breeds; some dogs are more prone to develop it but there are other factors that make it worse. Holistic veterinarians believe that over-vaccination and dogs fed a poor quality commercial dog food are more likely to develop hip dysplasia when they are at risk. 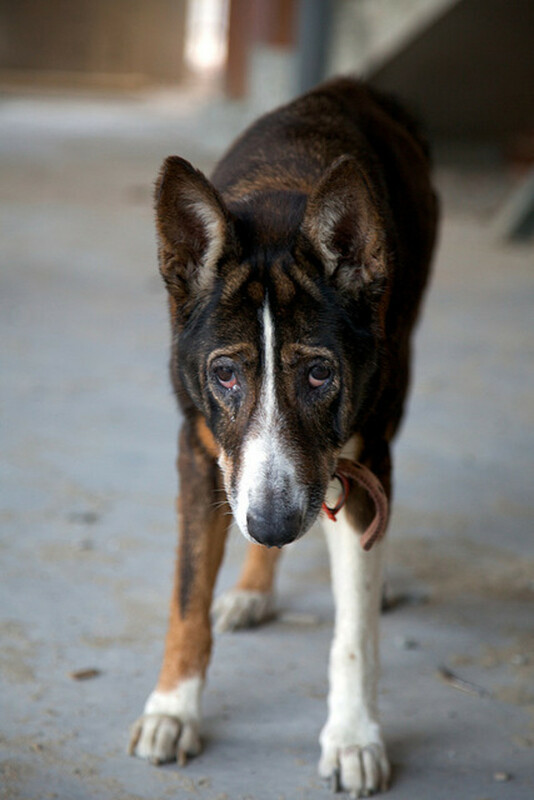 The dog may not start showing clinical symptoms until he is older, however, when the dog develops arthritic changes at the site where the head of the femur no longer fits into the hip correctly. It is at that point that your dog is in pain. 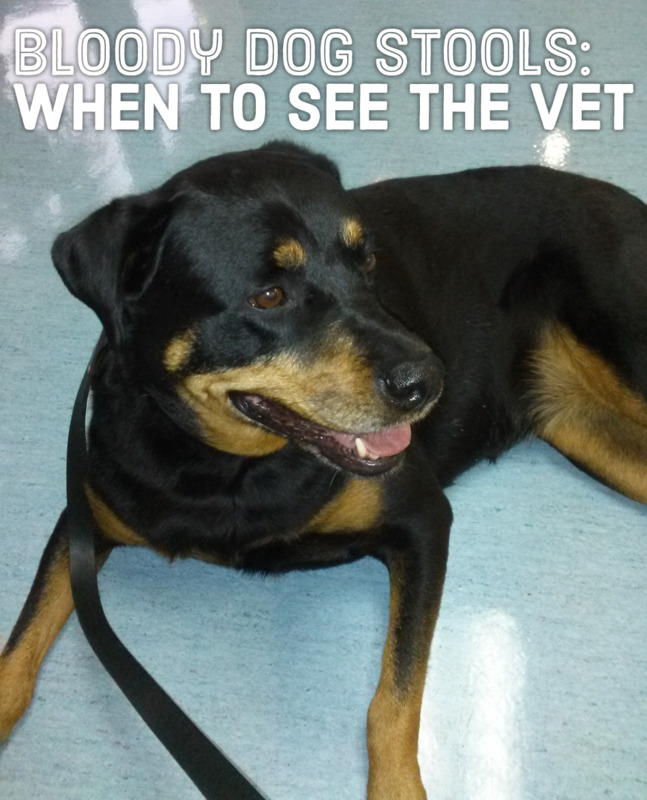 If the early signs are not recognized, the dog will start to lose muscle mass in his thighs. Please don’t let it get this far without trying alternative therapies. If your dog has symptoms of lameness and you are worried about hip dysplasia or any other disease, you need to take him into your veterinarian for a physical exam and maybe x-rays. The diagnosis may be mild and your prompt action will help him a lot! Rimadyl or other NSAIDs: Several may be tried over a long period. The side effects (like stomach ulcers, liver failure, and kidney disease) can be severe.effects (like stomach ulcers, liver failure, and kidney disease) can be severe. Oral and injectable steroids: Despite the side effects, sometimes steroids are used to control the inflammation and pain. 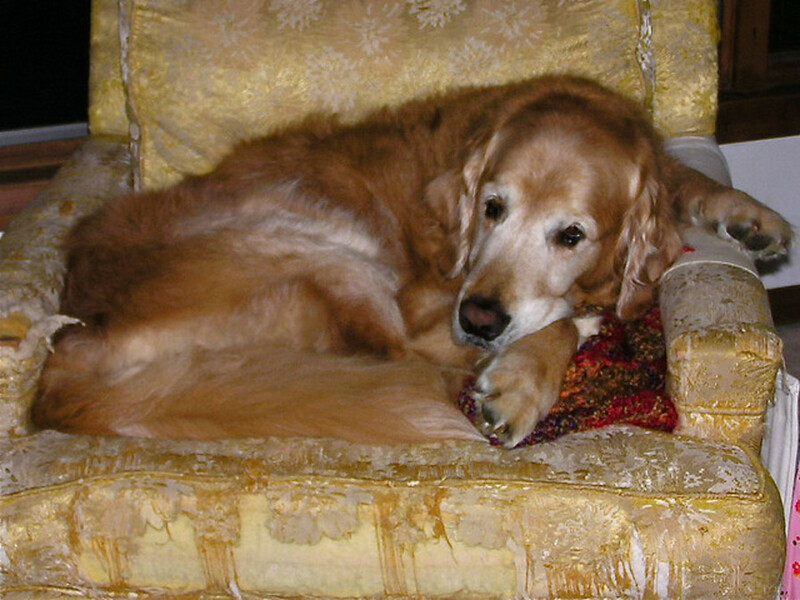 With long-term use steroids can cause weight gain, which is what an arthritic dog does not need. They can also cause damage to the cartilage in the joint. Weight loss: Since obese dogs have a harder time getting up and walking around, hip dysplasia is always a lot worse when the dog is overweight. The amount of food given is controlled and the dog may be put on a diet food. Even a drug like slentrol may be given to help control his weight. Controlled exercise: This may be part of traditional or alternative therapy. If swimming (hydrotherapy) is used to control weight and provide exercise to keep the muscles built up, exercise can be helpful and will not add stress to your dog´s joints. Just be sure to keep a vest on the dog, stay present at all times to help, and try to use a pool with a ramp so that the dog will find it easy to exit and is less likely to panic. Surgery: There are many alternatives: the most successful is a total hip replacement and if nothing else works the final treatment can be a femoral head ostectomy (FHO). FHOs are a lot more successful in small dogs. Surgeries can be expensive and out of reach for many dog owners. Feeding raw-especially tracheas and other cartilage (like knees and chicken feet) is a great way to provide these supplements. 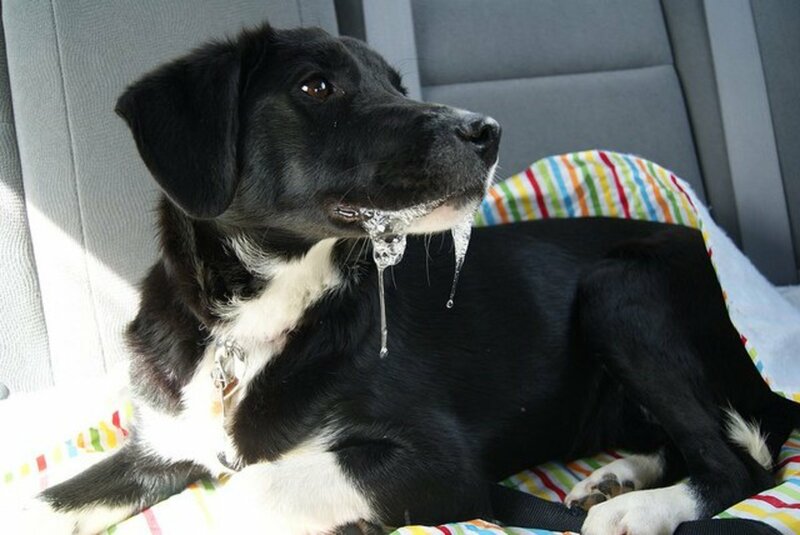 Feeding raw is also a good way to stimulate appetite in a dog that does not want to eat dry commercial food anymore. 2. MSM: This is an anti-inflammatory, another alternative that may work about half of the time. It takes a while to work so needs to be tried for at least two to three months before giving up on it. 3. Vitamin C and E: Both vitamins reduce the inflammation in the joint and probably help decrease cartilage damage. Although there is a lot of controversy on the necessity of vitamin C, in large doses it might improve the quality of the collagen and provide protection for the joint. If you are going to try it the vitamin is going to be successful at large doses, over 500 mg, up to 2000 mg.
Vitamin E may work in conjunction with Vitamin C to reduce inflammation and protect the joint. 4. Fatty Acids: These products have anti-oxidant properties and reduce the inflammation in the joint. Salmon oil can be purchased commercially, or you can feed fresh salmon twice a day. 5. Herbs: Several herbal therapies are available. If you decide to try something, do so for at least a few months, as results may take time. Alfalfa: Mostly for pain relief, this is also good for removing “waste”. This supplement can cause problems in dogs prone to bleeding. Cayenne: This herb may increase blood circulation to the joint. Dandelion: This herb may help joint repair and keep the joint clean. Best when combined with nettle. Licorice: This herb is sold as an anti-inflammatory. Best when used with Yucca. Gingko: This herb is said to improve blood circulation to the joint and decrease stiffness. It is best when combined with hawthorn and rosemary. St. Johns Wort: an anti-inflammatory that may be applied right over the joint. Ayurvedic products (available in some health stores): A combination of Ashwagandha, an anti-inflammatory, and Boswellia, another anti-inflammatory, may help with the pain. Pre-packaged products: The product Agile Joints for Dogs contains guggul, an anti-inflammatory, cayenne, ginger, alfalfa, and astragalus, a herb that improves your dog´s immune system. 6. Chinese Traditional Medicine: An arthritis therapy, Du Huo Jisheng Wan, may remove the pain in the joints. It is a mixture of several herbs, including ginger, foxglove, and licorice. The proponents of this mixture say that it works faster than the other herbs and results may be seen in only one week. 7. Colostrum: Mostly used with herbal therapies, colostrum (the first milk produced after birth) is suggested since it provides minerals and other substances that the dog may be missing. Goat´s whey is another supplement available, and the producers claim it provides biologically active sodium that the dog needs in the joint. 8. Massage: Several good massage therapies are available and in some areas a veterinary massage therapist can decrease the dog´s stiffness. The massage may be more effective if done with an essential oil. 9. 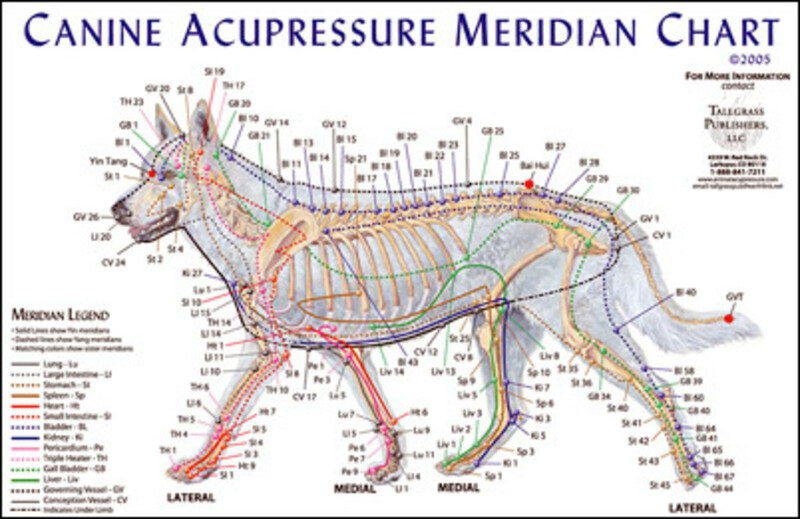 Acupressure: This procedure can be done at home and, although it will not cure the dog, may provide some pain relief. 10. 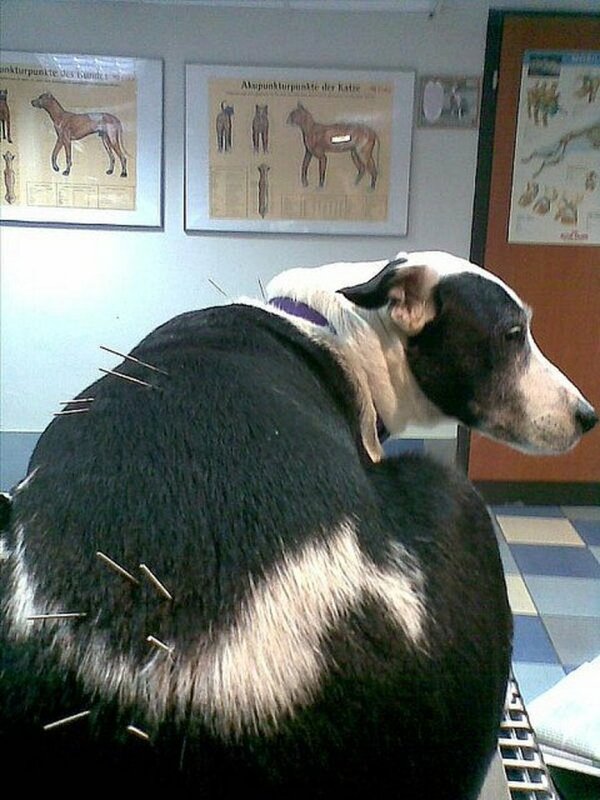 Acupuncture: Veterinary acupuncturists deal with animals suffering from severe hip dysplasia and arthritis every day. Acupuncture is more successful than acupressure. 11. Orthopedic Dog Bed: This is not really an alternative treatment but it may make a great difference in the quality of your dog’s life. 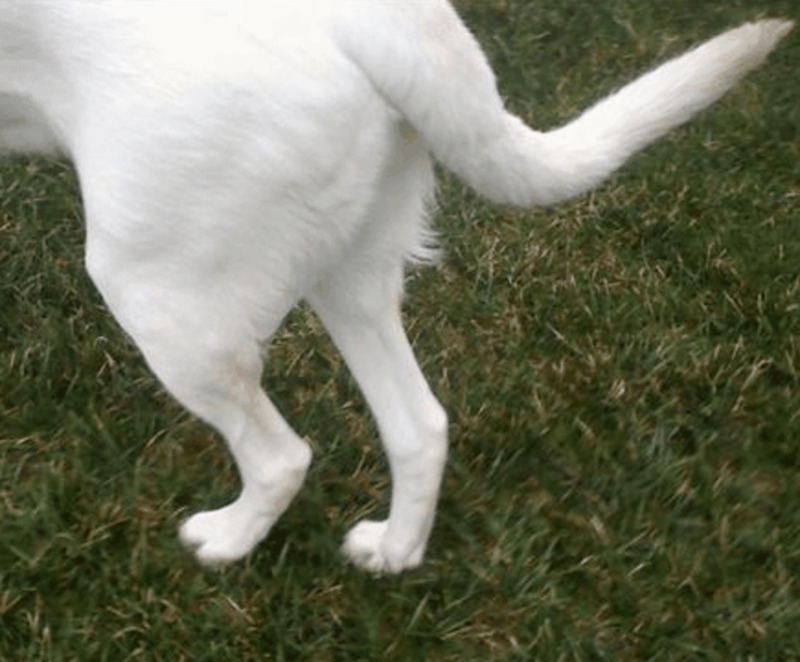 Although alternative therapies for hip dysplasia can be very helpful, dog owners need to go into this with the realization that they will none of them will make the joint new again. The only thing to do for an absolute “cure” is replace the hip, and even that procedure has several side effects. Alternatives can provide a lot of relief, however, and make your dog´s life pleasant. If she is already suffering from hip dysplasia consider some of these alternatives before starting steroids that may further degrade the surface of the joint. My eight-month-old Labrador has hip dysplasia. Is there any remedy which can treat it early? 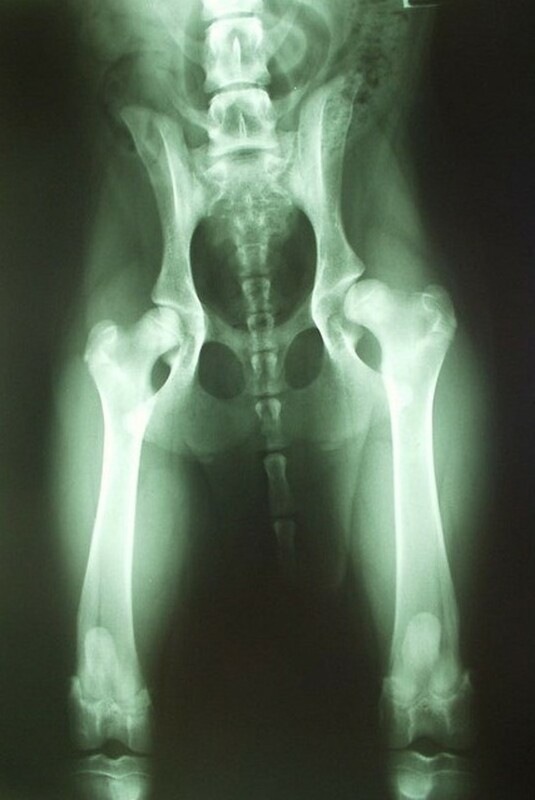 A puppy that develops hip dysplasia has anatomical problems. You need to start some alternative treatments early, but there is not a "cure." For a list of alternative treatments, you should go back and read the article. I think the best is glucosamine and chondroitin, and if you discuss this with the vet that diagnosed your dog, he may recommend Adequan injections, a therapy that has helped many early cases of hip dysplasia. You should also look into giving a fatty acid supplement every day. Are there any over the counter products at a pet store for hip dysplasia? Nutraceuticals (glucosamine and chondrotiin) are available over the counter and if you do not want to buy the human brand you can buy a brand for your dog at a pet store. Vitamin C is also available over the counter. Larger pet stores will also carry orthopedic beds, omega-3 fatty acids, and some of the herbs that I have discussed in this article. He was initially started of with medicines like megaflex and bone supplement for immediate relief (one month) but simultaneously started of on ayurvedic medicines like - daily course of Abha guggul, hadjod tablet and gandhatailam gel capsules. Abha guggul-repairs a bone by hastening the proliferative physiological process in the body. It improves blood circulation and increases nutrients supply to the bone, which enables quick healing of the fracture and increases the rate of regeneration of the bone. In addition, it also improves appetite, absorption of nutrients from the foods, and bioavailability of the minerals beneficial in bone healing. Helps strengthen the integrity of bones and muscles around it by supporting the delicate, healthy equilibrium between bone restoration and bone formation. Helps in relieving the pain and inflammation associated with fractures. Assists in building the chemical composition of fractured and weak bones. Gandhatailam-It is mainly targeted towards improving bone mass and strength.It is useful in the treatment of arthritis, osteoporosis, Fracture, dislocation.It helps to improve strength of bones, joints and ligaments, It is also used in the treatment of ligament injuries. We have seen remarkable improvement in his posture and activities.. hip displacia doesn't seem to be affecting my dog any more. He jumps, runs, and is active all the time and thr is no pain. Cosequin plus msm helped our OES for a while, then heard about adaquin injections. Had the first round 2 years ago and boy did it help! But it requires monthly injections after the initial load of 2 shots per week for a total of 8, cost of $45 - $50 per injection that we were able to give to him ourselves after the 1st load. We also give him dasuquin chewables as recommended by our vet. However now the injections are no longer helping as well. Our 12 yr old sweetie needs help getting up once again. But I would recommend the injections if you can afford the cost as its given us 2+ more yrs. with our boy. Awesome - your article deserves it! Thanks for sharing this, Solaras. I am getting many visits from FB (just checked my traffic stats), and I appreciate your help. Great article Dr. Mark - Thumbs up and interesting. Sharing with my FB friends. Thanks so much Dr. Mark. I will check to see if my health food store has any type of a supplement from the acerola tree. I wish I could give you a definite answer but the information is out there. 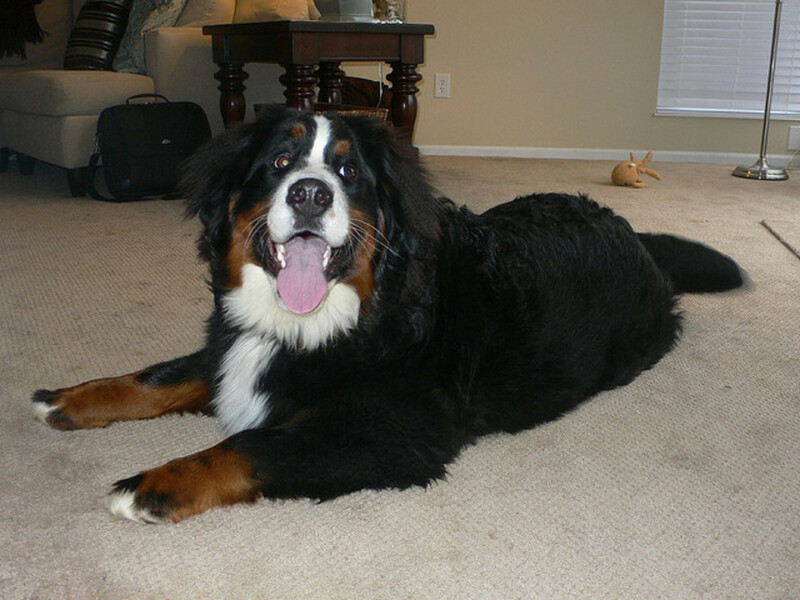 One source said for a big dog like your Newfies they could easily handle up to 2000mg, but the only way to tell is to give 500 at a time, and if the dog has diarrhea stop, wait a week, and then start again at 500 less. The other thing that might help is having her on a natural source, but I am not sure what you have there in Canada. One of my neighbors has an acerola tree so I can collect enough for my dog. It may not even be necessary at her age, but who knows? If she doesn't need it the vitamin is just passed out in the urine. The vitamin E dose sounds fine. I have not read any recommendations for more than that, even in a giant dog. I hope she is with you another 7! Get that excess weight off of her. My female Newf will be 7 this August and she is a bit overweight. I've cut back on her food portions. She weighs 130 - 132 and I'm giving her 1000 mg. of Vitamin C Calcium Ascorbate powder along with 400 UI vitamin E. Would you say that this is the correct dosage or should I increase the Vitamin C? I did read about it and those are her symptoms. I'll have our vet check her out. No, with a tiny Chihuahua it is most like a medial luxating patella. (A trick knee, you can read about it before you take her in.) Did it never show up on previous exams? Surgery is the best way to get rid of the problem, but there are other options. We now have a female Chihuahua, who was the runt of the litter. When we go for a walk, she always takes three or four steps and then lifts her right rear leg for a couple of steps. I checked her paw, but found nothing. We are taking her to the vet for that and spaying, but could this be dysplasia? She is about nine months old. Hi Will I know Labs are over-represented since they are so popular and so many backyard breeders choose them. When I was in school German Shepherds and Rottweilers were both popular surgical candidates, and of course all of the giant breeds have problems, and especially if they are overweight. The only way I know to avoid this disesase is to own one of the skinny breeds (like a Greyhound or Saluki). They are big but don't have this problem. You are fortunate that Maddie did okay with the diet change and joint product (cosequin, an herbal, or whatever?). There are so many sad stories out there about people who spend thousands of dollars and their dogs are still in misery. Which breeds are more susceptible? We saw this in our labs. Very informative hub....our Maddie hurt her leg a few years back and we were concerned that it would be the beginnings of hip/joint problems with her, so immediately we changed her dog food to one with meat as the first ingredient, and started to give her a wholistic joint mobility product once a week. It has worked wonders for her...she has not had a problem since. Voted up and useful!